We first saw the MCU's version of the Marvel superhero Black Panther in Captain America: Civil War. As an FYI, in the comics, the Civil War storyline had a lot to do with Peter Parker/Spider-Man. At the time, when the movie was being written, Black Panther was used as a replacement for Spider-Man because Marvel/Disney didn't have the rights to use him. However, the deal to bring Spidey into the MCU came through and we ended up with both of them in the film. 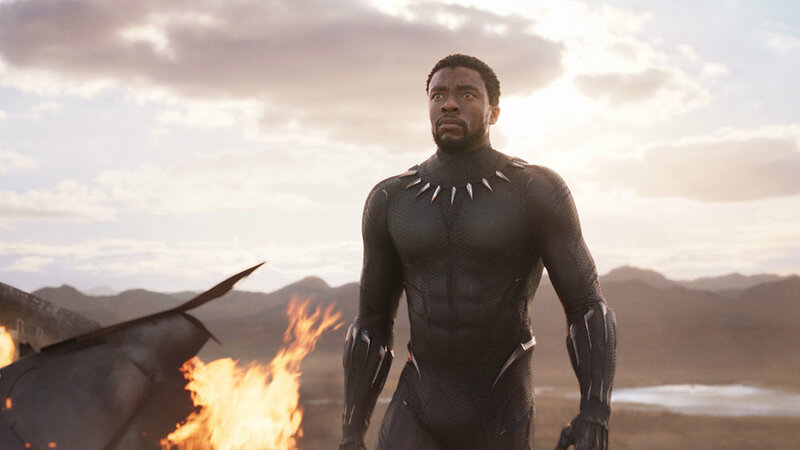 In the MCU, the Black Panther's origin is very different than in the comics, at least in the way that T'Challa (Chadwick Boseman) became the hero. In both the film universe and the comics, the Black Panther is the protector of the African nation of Wakanda and her people. The mantle of Black Panther belongs to the ruler of the nation and is generally earned by succession or defeating the previous Black Panther as well as several other mental, physical and spiritual tests. Once you have earned the right, you get access to something called the Heart of Wakanda or heart-shaped herb. The herb affects the body's kinesthetics, proprioceptors and other nerd stuff that when applied to the body it grants near super-human strength, agility and reflexes. It also allows you to hear a heartbeat and see in the dark, track a smell across a continent and, most importantly, connects you to the Panther god Bast, as well as previous Black Panther rulers (anybody watch The Last Airbender cartoon?). It is said that anyone who isn't worthy of the power could not endure the process. One of the key things that make Black Panther so different from the vast majority of heroes in the pantheon, and especially in the MCU, is the fact that he is also ruler of a nation. One of the core tenets of the Sokovia Accords is accountability to the nations of the world. While Captain America (Chris Evans) has the luxury of trusting only his hands and the hands of those in the Avengers, Black Panther has a nation to consider in every decision he makes. Saving this person or hurting that person isn't just a reprimand for him, it's potentially a political statement. Many of the conflicts throughout his comic tenure have been due to the politics of the nation and not just every day good vs evil stuff. So how much of that will be translated into the MCU version of our boy? 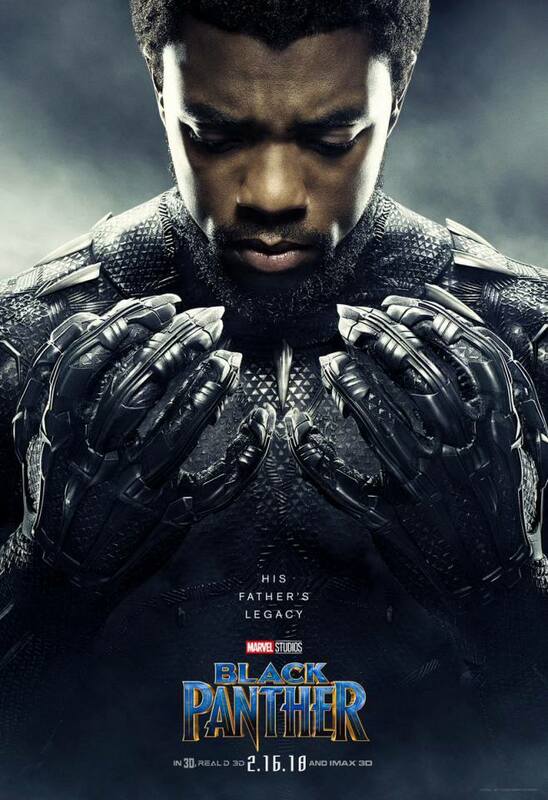 Well we already know that he becomes the Black Panther through succession, after his father T'Chaka was killed in Captain America: Civil War. What's different in the comics is the way his father was killed and the time between his death and T'Challa's ascension to power. We also know that he sought vengeance in a very public way as he chased the Winter Soldier (Sebastian Stan) through a city and over rooftops, ultimately aligning with Iron Man (Robert Downey Jr.) and his team to try to bring him down. We also know that he goes back to Wakanda and decides to aid Bucky (The Winter Soldier). So the question now is whether or not his people will just accept their new king or will he have to earn it by way of Wakandan ritual. In the comics, on top of the education and training he received in Wakanda, he was also educated in the West. That alone sowed seeds of discontent. We'll have to see if that plays out in his story for the solo movie as well. The very public quest for vengeance may hurt how he's viewed by his people by inciting violence against outsiders in some and questioning his objectivity in others. Bringing Bucky to Wakanda is a prime example of that. GET YOUR SUPERPOWERED REVIEW - BLACK PANTHER INSPIRED GEAR FOR THE PREMIERE IN FEBRARY! The real Wakanda has been a secret for centuries. No outsiders are allowed in and very few know of the Vibranium deposits they have. Vibranium is what Cap's shield is made out of and is also woven into BP's suit and used for its weaponry. It's also what Ultron (James Spader) was after in Avengers: Age of Ultron in order to create the perfect body. That body ultimately became the body of Vision (Paul Bettany). Basically, the metal absorbs all kinetic energy, is super strong, and there are unknown attributes (hinted at during the Vision creation process) that have yet to be touched. Now that the world knows what the suit can do and how advanced Wakanda may be (not to mention housing the notorious Winter Soldier), everyone will come seeking to plunder the secretive nation. I'm sure we all know how that's gonna go.